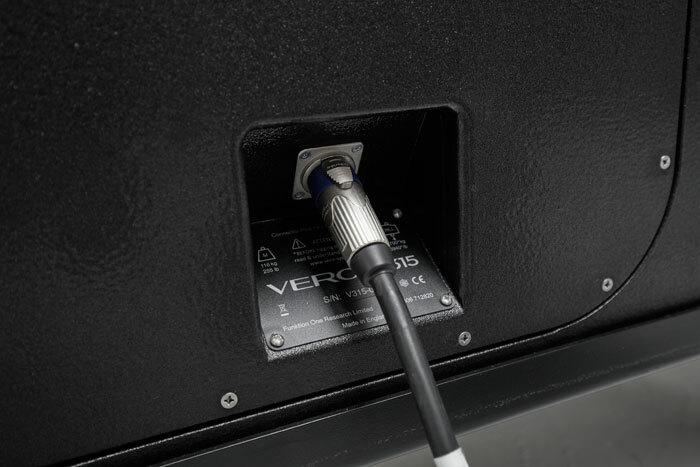 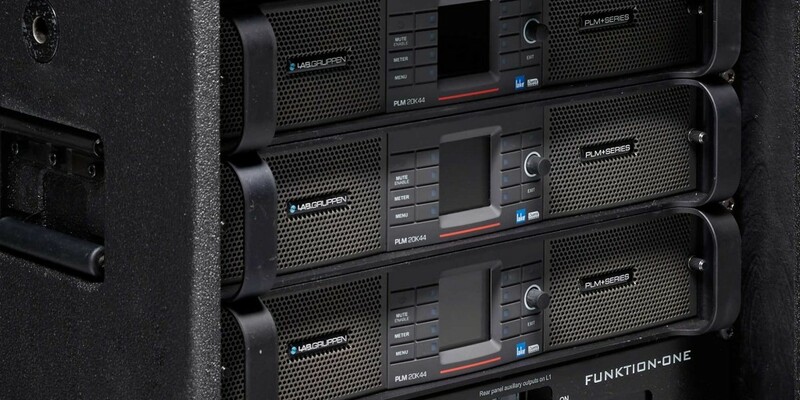 Vero is powered by Lab.gruppen PLM 20K44 amplifiers featuring bulletproof reliability, tremendous power from a compact package, onboard processing and the sonically superior Dante networking for signal distribution. 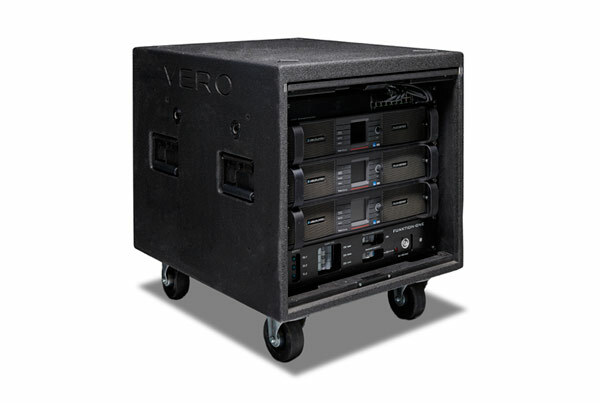 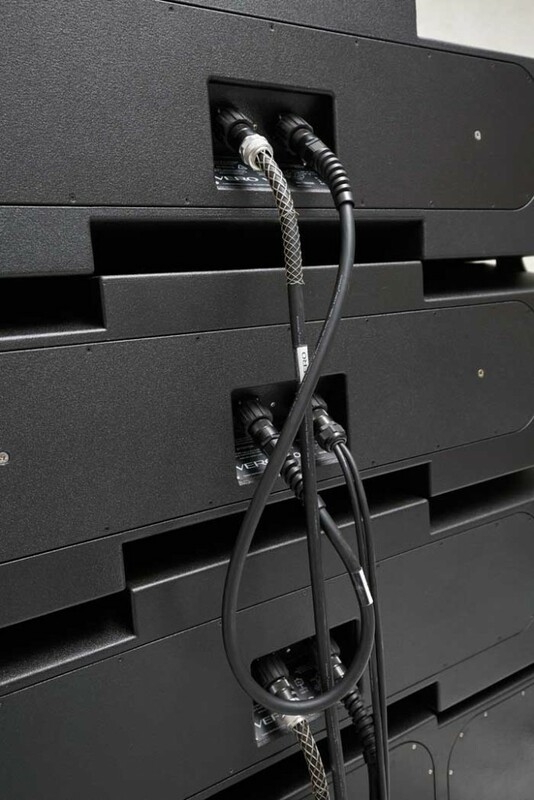 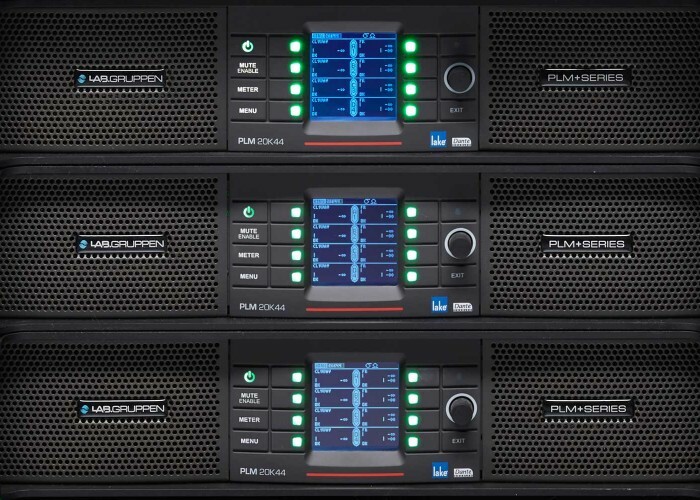 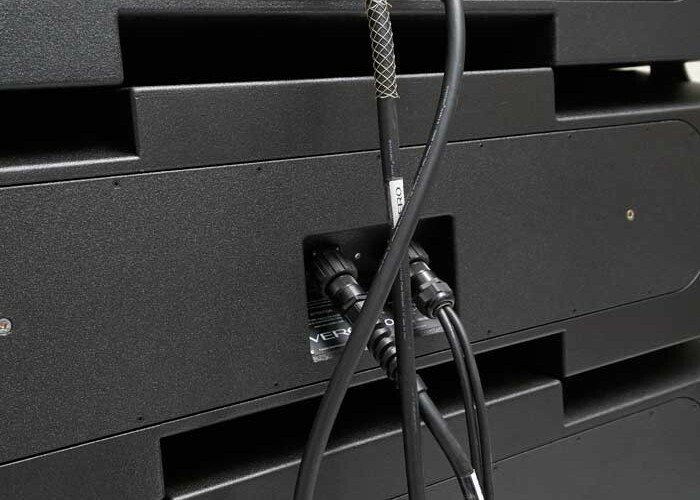 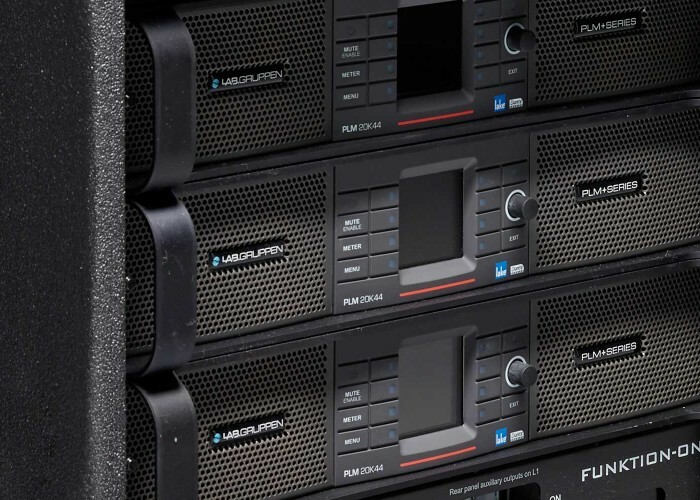 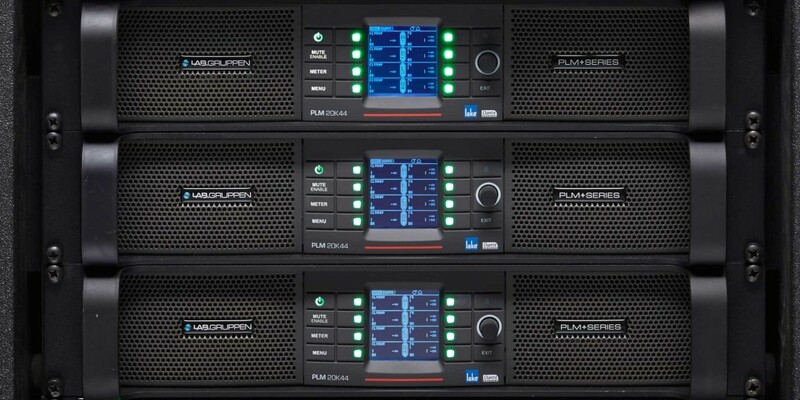 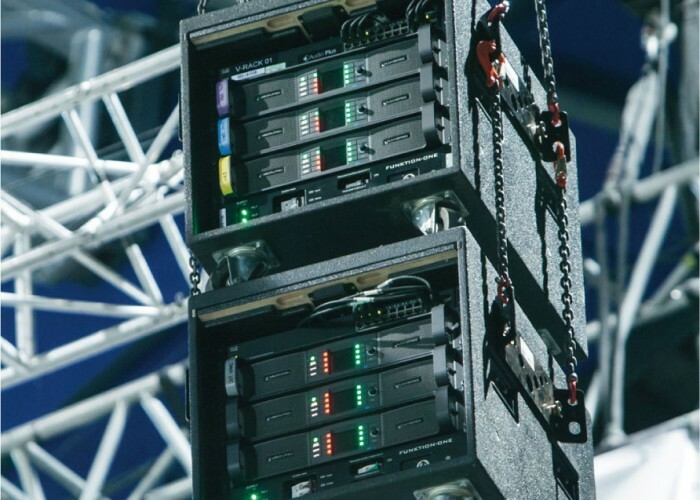 Three PLM 20K44 amplifiers and mains distro are fully shock mounted in an innovative, compact rack,complete with sliding doors that conveniently stow in the roof of the rack. 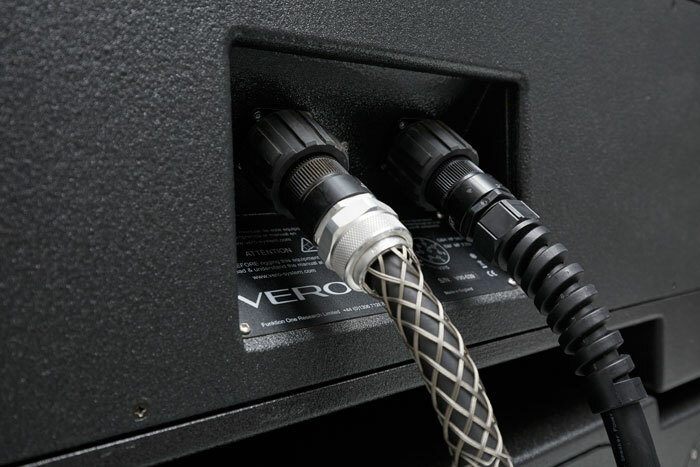 The speaker cabling features curl resistance, large cross section conductors and mil spec, quarter turn, multi-pin connectors. 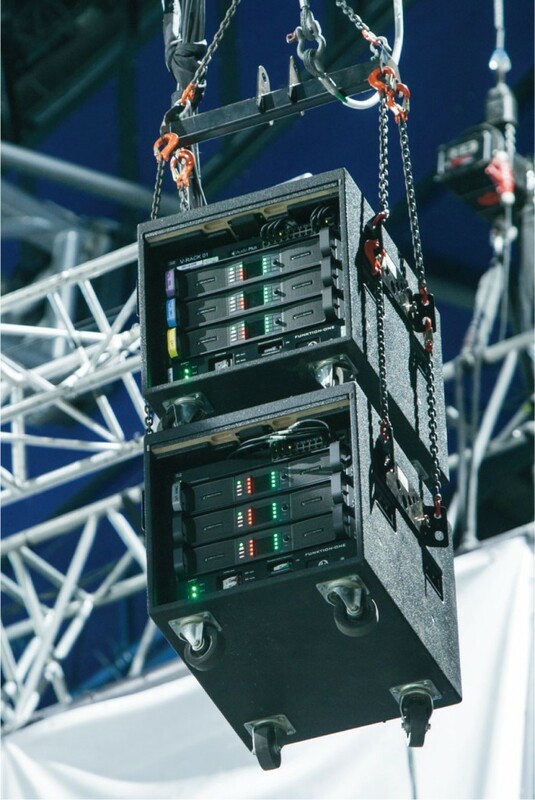 A 12-enclosure flown Vero array is powered by only two Lab.gruppen PLM 20K44s, making the system incredibly amplifier efficient. 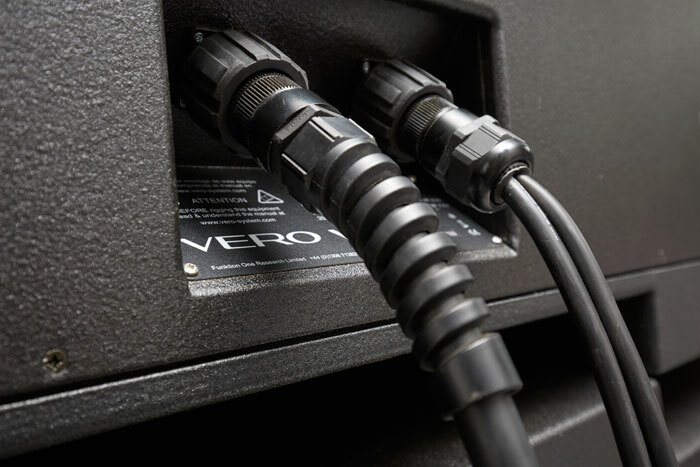 Vero has been designed and optimised without recourse to corrective EQ, preserving system headroom and transient response.